To fully appreciate how computers are revolutionizing every phase of the manufacturing process, one must understand the many aspects of computer automated manufacturing, the business, terminology, priorities of each functional area and the technology of communications. This basic yet thorough resource introduces the major aspects of CIM technology while providing insight into how the various pieces work together. Enables anyone involved with manufacturing to fully understand and apply the advantages of a totally integrated manufacturing system. Examines the state of manufacturing in America while giving full consideration to international influences. Brings the reader up to date on the current and potential uses of available technology and the success of various attempts to establish a common standard for system integration. Presents descriptions of complex technologies in readily understood form so the reader will be able to fully comprehend and apply the advantages of a totally integrated manufacturing system. Computer-Aided Design and Engineering. 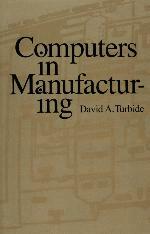 Computer-Assisted Manufacturing and Engineering Release. Networks and Protocols. Manufacturing Resource Planning. Data Collection. Process Automation. Work Cells, Robotics, Material Handling. Quality. Distribution Functions and Electronic Data Interchange. Office and General Applications. Implementing CIM and Trends. Glossary Index.